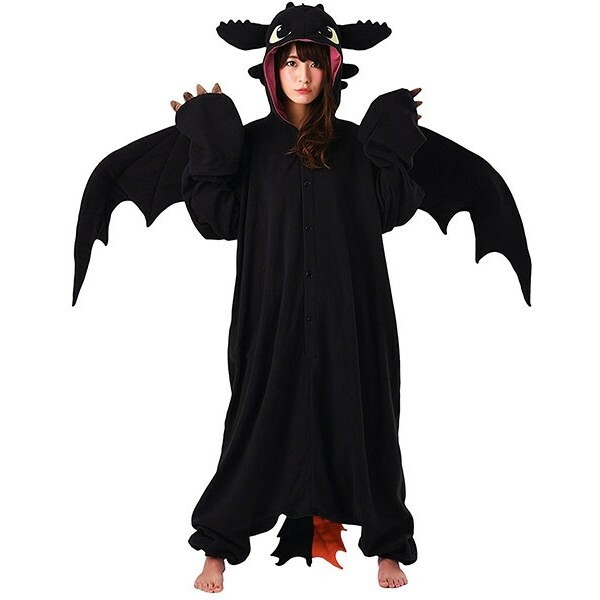 Fans of How to Train Your Dragon will love this kigurumi version of Toothless the dragon! 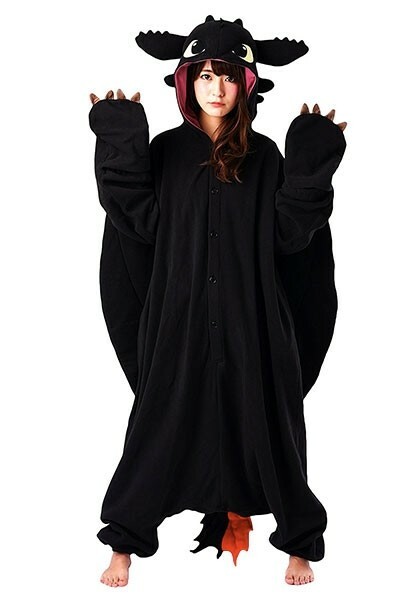 Kigurumi are a combination of loungewear and costume, perfect for cozy nights in or for costume parties. 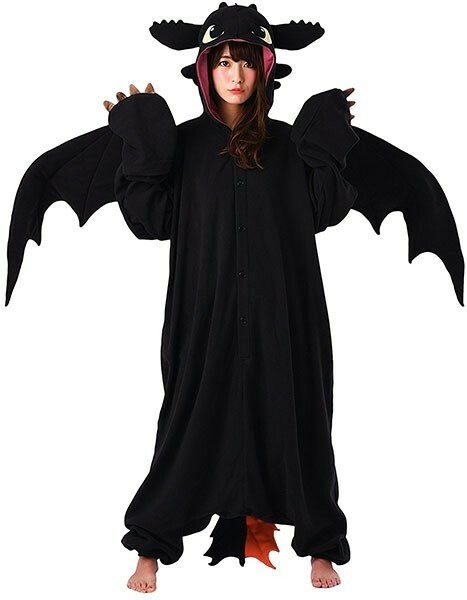 This fleece kigurumi from Sazac includes fun details like wings and Toothless' red tail prosthetic. 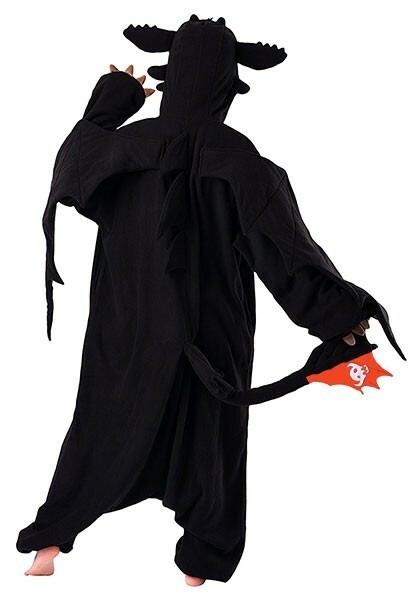 Available in one size which fits most adults over 5' in height.